For a lot of gamers, that’s all it takes. 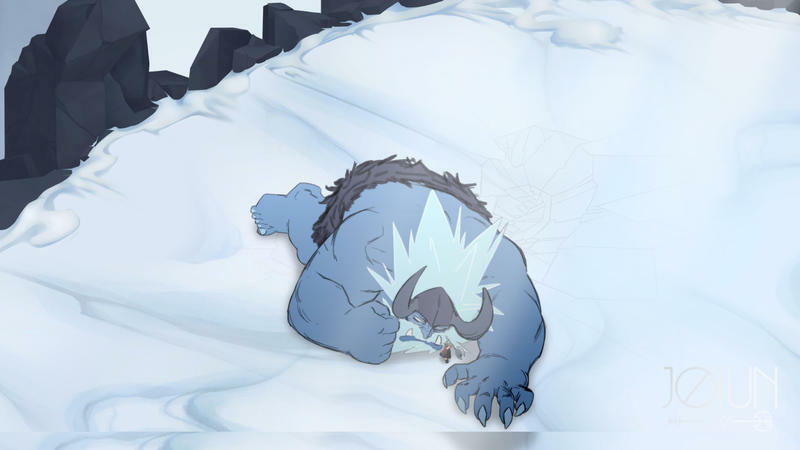 Jotun stars Thora, a female viking warrior who died, in their words, an inglorious death. 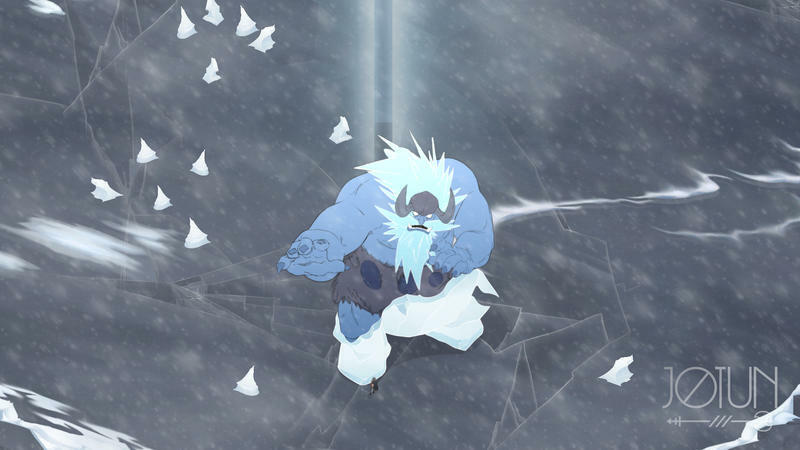 Her one shot to get out of purgatory is to brave the elements and defeat five separate Jotun. 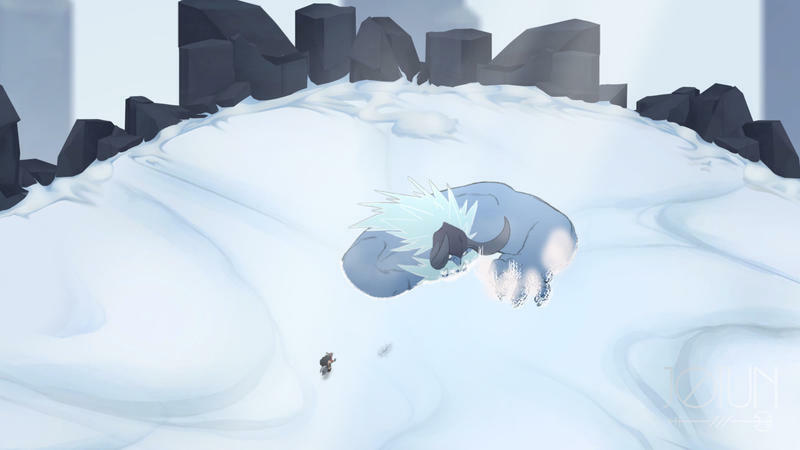 The Jotun are massive giants, each with their own elemental association. 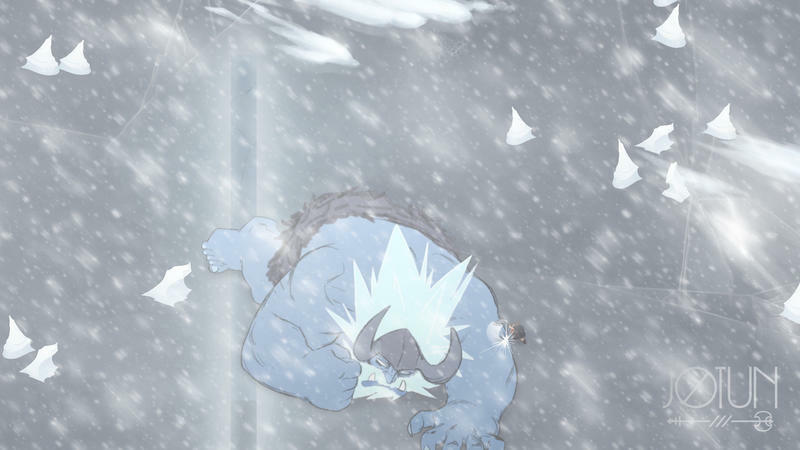 I took on the Winter Jotun during my time with the game. Things were going really, really well until I chipped his health down to the halfway points. 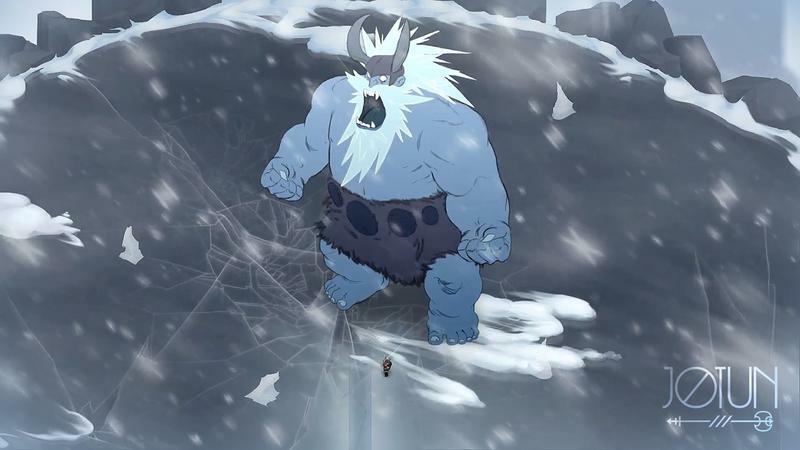 That’s when the snow on the mountain gave way to ice, and the angry giant had the advantage of battling Thora without traction. 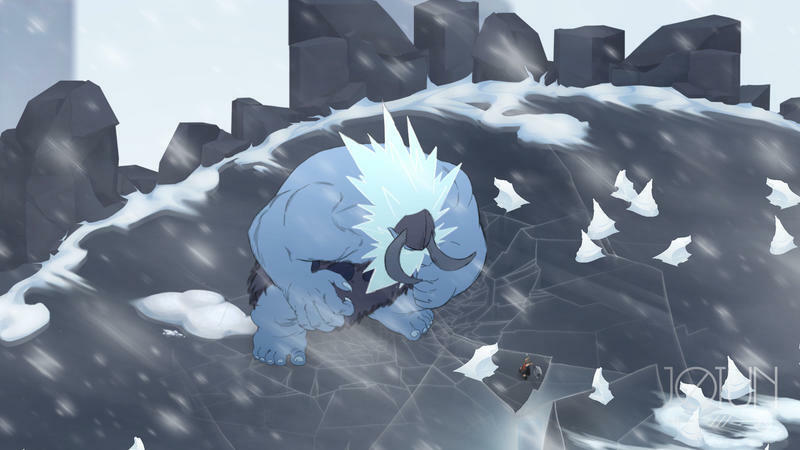 Jotun is gorgeous. We did not have an appointment to play this game. In fact, truth be told, we’d not even heard of it until walking by the booth during the show. 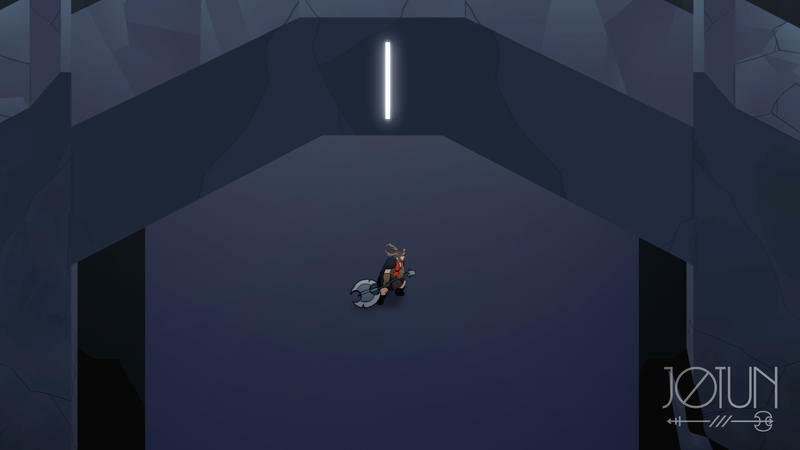 Its art style instantly grabbed our attention, and we made a note to swing by before the weekend was over in order to give it a play. 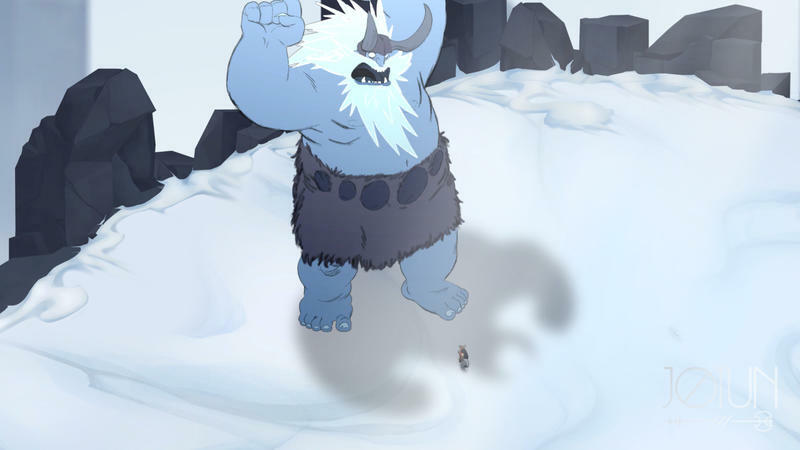 The biggest takeaway I had from Jotun besides its art style and imposing difficulty was the sheer scale of the giants themselves. 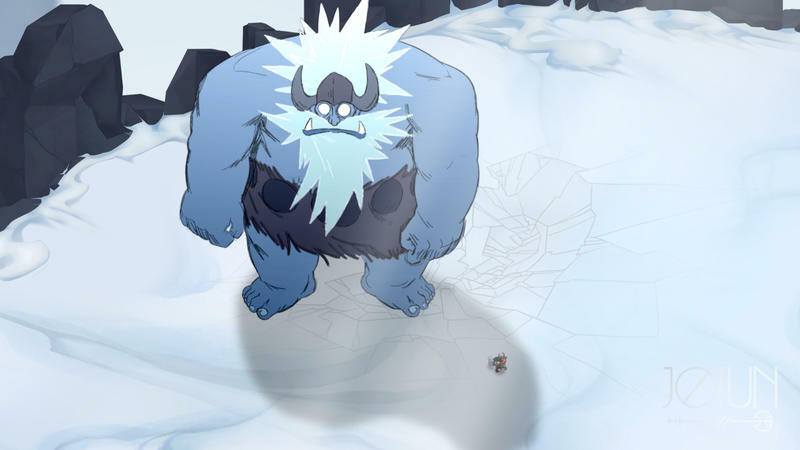 The Winter Jotun is absolutely massive, and Thora doesn’t really do much in terms of damage with her attacks. Don’t get me wrong, she swings hard and strong, but it seems like nothing when strikes land on one single blue toe. 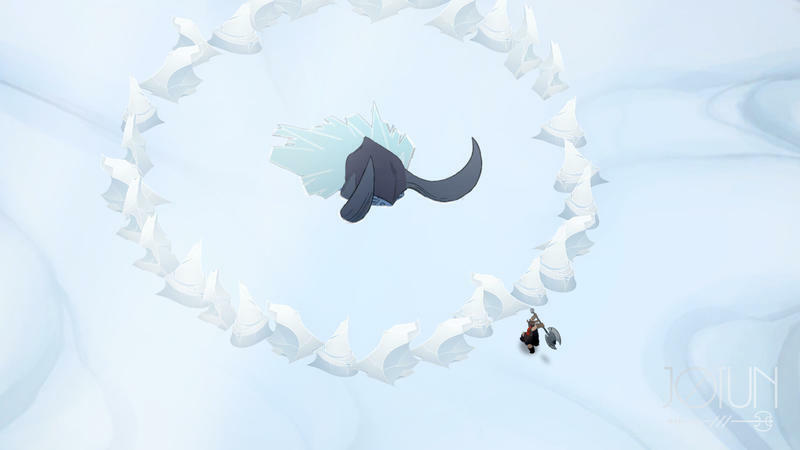 Jotun is gorgeous in motion. 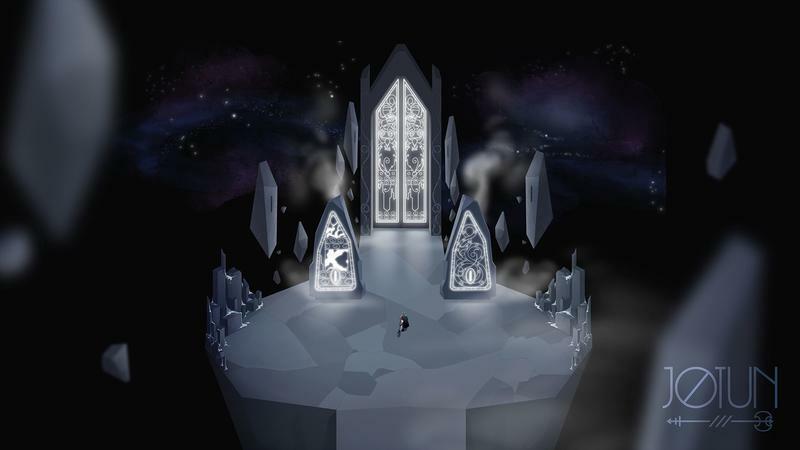 The team doesn’t have a release date for this one yet, but it is bound for the PC, Mac and Linux platforms. We’ll follow the game, and we’ll have more for you as it comes.